Wearing: Melissa Araujo Cut Out Dress, Oak and Fort Shirt Dress, Adidas Superstar, Alexander Wang Marion Bag, THP SHOP Bound Cuffs. My prayers for a good September have been answered so far. The weather has been insanely nice for this time of the year, I have not touched a fall jacket or sweater yet. I have been able to spend my days in a dress and a light outerwear. This Melissa Araujo Dress is one of my favourites from the Linear collection; it is minimal, simple but has its own personality. There is also nothing like a good pair of sneakers to give some street style credit to the whole outfit. A lot of your favourite books are on my top 10 as well, so nice! I specially love the unbearable lightness of being by Milan Kundera! Perfect layering! I love the shirt dress, it has the right length! tis is a very pretty minimal white style, I love it! You definitely always have some great outfit to show us! perfect as always! I love your bag! 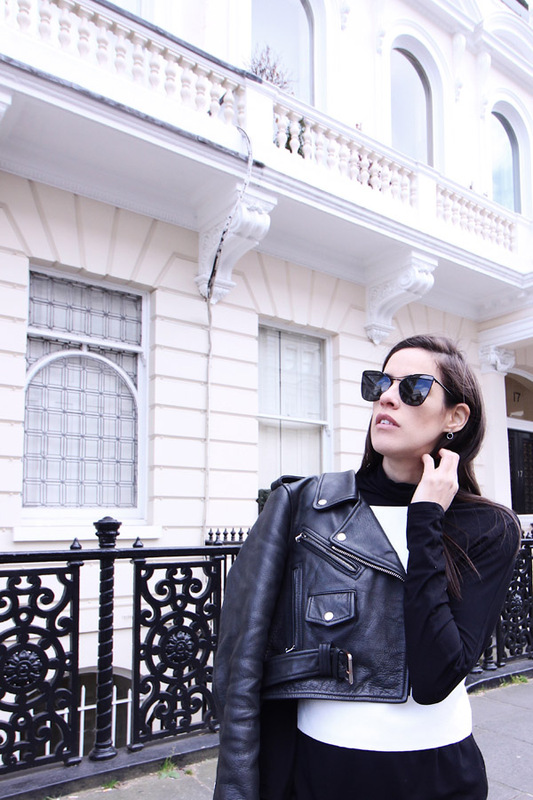 Stylish outfit, you look lovely.I have followed you with Bloglovin and if you ever get the chance to check out my blog I would be delighted, thanks! love this outfit on you! and really interesting list of favourite books. i would agree with you on dracula as that was amazing. some of my favourites are gone with the wind, the book thief, wuthering heights and the obernewtyn series. love hearing about new books to add to my list though! Thats a really amazing outfit. Love all the silver hardware details you're wearing to this outfit! 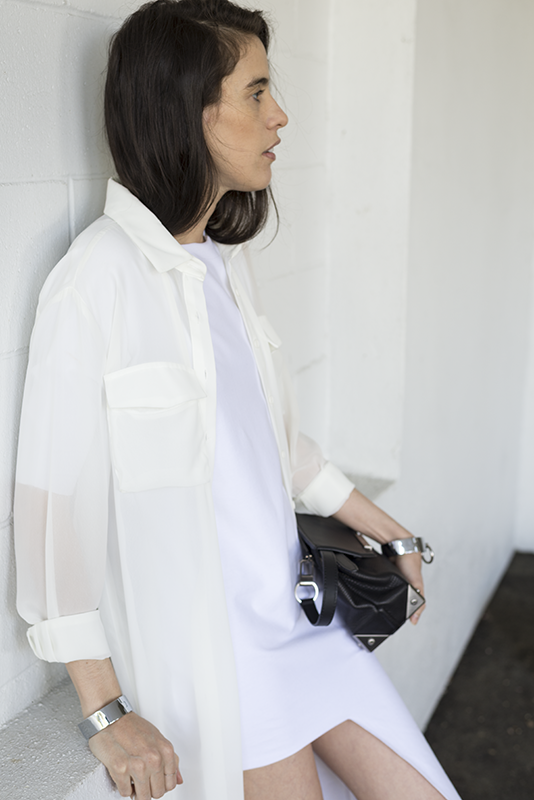 The white sheer Oak and Fort shirt dress is so chic and suits your frame down to the ground! Yet another fabulous outfit post, Melissa!